If you have a big purchase on the horizon, maybe a new TV, camera, or refrigerator? The credit card earning the most points or miles may not be the best card to swipe at the checkout. It’s important to think past the points you'll earn, and look into other benefits a card may provide when you’re splashing out on new gear. The majority of rewards cards provide a host of ancillary benefits, outside of points and miles, that can have a significant impact on which card you use for each purchase. Today, we’re shining a light on extended warranty policies offered by major credit providers and highlighting the best rewards cards to use when making a purchase. Extend the warranty on your iPhone with no out-of-pocket expense by swiping the right credit card at the checkout. How Do Extended Warranty Policies Work? You may be familiar with extended warranties offered by a cashier or salesperson. An extended warranty typically adds between 12 and 24 months to the manufacturer's warranty. For example, you purchase the new iPhone X with Apple's Limited Warranty of just 12 months, and the salesperson asks if you want to purchase AppleCare+, Apple's extended warranty plan which costs a colossal $199 for two years. However, if you swipe the right credit card when buying your iPhone X, you can receive similar extended warranty coverage to Apple’s pricey AppleCare+ without the $199 out of pocket expense. The extended warranty coverage offered by your credit card mirrors the manufacturer’s warranty, and will only cover you for the same defects and faults listed in the product’s original warranty documentation. Just charge the full purchase price of the item to your credit card, and retain copies of the manufacturer’s warranty and merchant/credit card receipts. If there is a covered fault after the manufacturer’s warranty expires, your credit provider could pick up the bill for the item's repair or replacement, or for reimbursement of the purchase price. Policies differ widely between credit card providers, and even between different versions of the same credit card (i.e. Platinum vs. Signature), so it’s crucial you read the T&C’s specific to your credit card to determine your level of coverage. Mirroring the results for the best purchase protection policies, Citi claims the top spot, but not without some stiff competition from Amex. 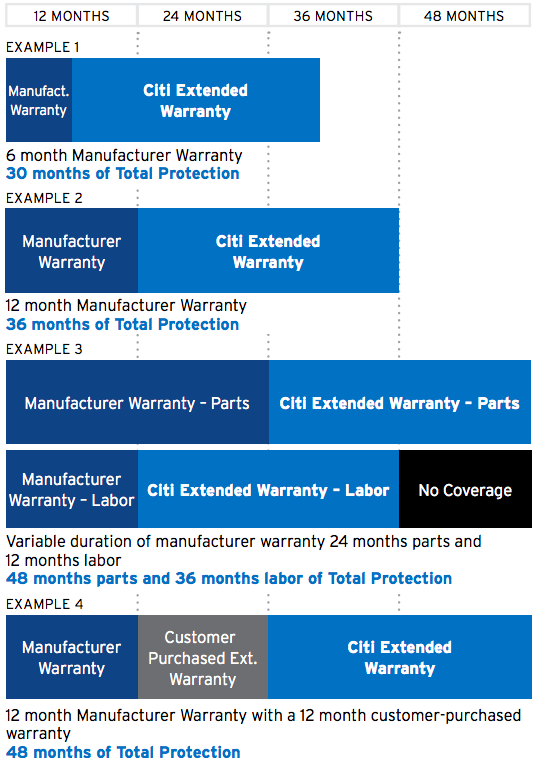 Citi’s extended warranty policy provides 24 months on top of the manufacturer warranty, and will even extend past a customer purchased warranty by a further 24 months, up to a total 84 months (7 years!) from the date of purchase. From August 1, 2018, Amex is matching Citi's 24 month cover on warranties up to 5 years, but with one small caveat; where Citi states no annual cap on claims, Amex will cap its new policy at $50K per year. Citi ThankYou Premier Extended Warranty policy. The policy from Citi also allows for a long initial warranty duration, providing extra warranty on items with a manufacturer warranty of up to five years. 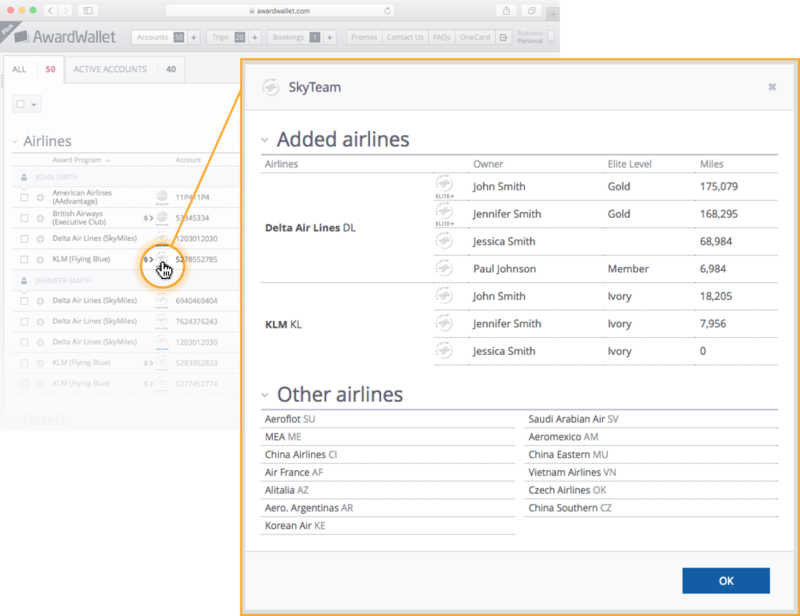 The example we’ve presented in the table is the guide to benefits for the Citi Premier℠ Card, but the same policy applies across the full spectrum of Citi cards from the no annual fee Citi® Double Cash Card to the premium Citi Prestige® Card. The coverage from American Express is another great option if you don’t carry a Citi card in your wallet. Purchasing items on cards like The Platinum Card® from American Express or Hilton Honors American Express Ascend Card allow for the same five-year initial warranty duration, and from August 1, 2018, will provide 24 months maximum extended warranty, matching the Citi policy. Amex also enables you to purchase extended warranty packages from the manufacturer or retailer, and will still add the additional 24 months coverage, provided the manufacturer warranty and the purchased warranty combined do not exceed five years. Scanning the Amex policies, they do not explicitly exclude general wear and tear, which should be covered if you purchase with your Amex card (Citi excludes explicitly wear and tear). The policy matched up across every Amex card we researched, but check your card T&C’s before purchasing to ensure your card offers the same protection. Barclaycard only offers a maximum initial warranty of two years, but will extend it by 24 months and allows you to stack the card policy with another 24 months purchased warranty coverage, for a total of 72 months or 6 years. If you hold a Visa from Chase or U.S. Bank, the extended warranty covers items with a manufacturer warranty of three years or less, and extends coverage by up to 12 months. Discover recently announced that extended warranty cover will be removed as a benefit of its cards from February 28, 2018, along with other ancillary benefits, which is why it didn’t make the list. What Purchases Are Excluded from Extended Warranty Coverage? While coverage is similar between providers, each publishes a list of exclusions which you should consult before making a purchase. It’s essential to read the guide to benefits for your specific credit card to confirm if it offers extended warranty coverage, and what items it covers. If you’re unfamiliar with your card benefits, we’ve compiled a handy list of guides to benefits from major credit providers. To make an extended warranty claim, you need to keep the credit card receipt, shop receipt, original manufacturer warranty, and the details of any customer purchased extended warranty policy, plus you’ll be asked to provide the original credit card statement recording the purchase. To initiate a claim, contact the relevant phone number below, or visit the listed website for your provider. Citi – Go to https://www.cardbenefits.citi.com/ or call 1-866-918-4670 for instructions on how to submit a Citi Purchase Protection claim. 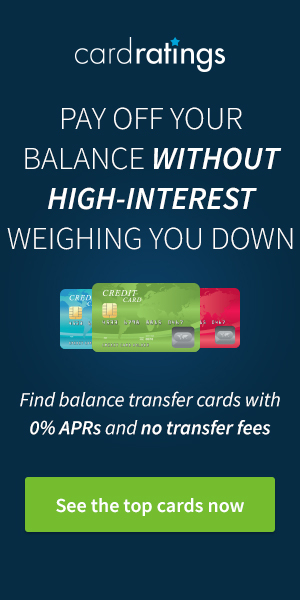 American Express – Go to https://www295.americanexpress.com/onlineclaim/, call 1-800-225-3750, or mail claim details into – Extended Warranty, PO Box 981553, El Paso TX 79998-9920. Chase – Call the Benefit Administrator at 1-888-675-1461 for information or to file a claim. U.S. Bank – Call the Benefit Administrator at 1-800-551-8472 for information or to file a claim. Capital One – Call the Benefit Administrator at 1-800-397-9010 for information or to file a claim. With extended warranty policies covering up to $10,000 per claim, the value derived from this benefit could comfortably eclipse the value of rewards earned over the time you hold the card, something to factor in before making a purchase. Citi again provides the standout policy for extended warranty coverage, offering 24 months extra protection on top of the combined manufacturer and purchased warranties of five years or less, and no cap on annual claims. Delivering up to 7 years warranty in total for items purchased with your Citi card. Amex also offers a top policy, which covers wear and tear in addition to the typical cover associated with rewards cards. In thinking about how to maximize a policy, you could, in theory, purchase a short extended warranty and then piggyback the additional warranty on a credit card. Adding a year or two of warranty direct from a retailer could be relatively inexpensive, and when those more expensive 3 or 4-year policies would be desired, you could skip them and leverage the coverage on your credit card. If you’ve used the extended warranty protection on your credit card, we’d love to hear from you. Share your experience below in the comments. This is one of those benefits that I rarely think about. Thanks for pointing it out, as it has a value too. I’m surprised Citi comes out on top. I would have assumed it would be American Express. This is actually a surprise to most. The built-in coverage with American Express as a rule, is sub-par to the built-in coverage you’ll see on other cards. For the warranty to be in effect, does the card used at time of purchase have to remain open? Based on all my research, it does not. Information on Amex is mixed (public forums) and Citi has it documented that you’re covered as long as you were in good standing at the time of purchase. Chase has confirmed you’ll just need to keep track of the original card number to provide. Thanks. I forgot about this benefit. I’ll keep this in mind, when choosing which card to use for a major electronics purchase. What a dandy amount of info to keep in mind! Thx! But, now you can just remember the concept and this post rather than everything. Free up some space up there! Always forget about this (but never needed it…yet). Always a good reminder. Thanks. Wow! Seven years! Now all I have to do is remember to purchase with the correct card, and then remember to attempt filing the claim for warranty years later. I guess I will have to set up a spreadsheet for this. I keep copies of receipts/warranty with instruction manuals. Just stay organized and it is easy. Does Chase provide extended warranty only with Sapphire reserve or with other free cards like the Freedom card as well? Each card has its own level of coverage, but yes, it is included on other cards. 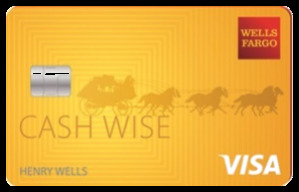 not really extended warranty but don’t forget wellsfargo cell phone insurance if the your bill is paid with wellsfargo CC. And I was planning on buying my new phone with my American Express. Thank you! I have several large purchases planned in the next few months so this is a very timely and helpful post for me. Thanks! This is one of the coolest perks that some cards offer. Very interested series of pieces, thank you. Wow, fantastic breakdown. I’ll definitely be considering my card choice for large purchases a little differently going forward. Bookmarked. I have used this benefit for a vacuum and it works. American express also has a good warranty and I did not know that citi was better than Amex. This was a good article with helpful hints. This is definitely a feature of my credit cards that I forget to use. I will admit that I don’t often keep all the paperwork associated with my purchases so I might not qualify anyway. This is something For which I’m going to have to develop a system for future purchases. This makes the citi double cash card so much better. thanks! For the CSR you get price protection on the full amount of the purchase even if only part of it was on the card. Not sure if the same applies to extended warranty coverage but that would be a good thing to get clarity on before combining GC and CC payment. That is not the case. The terms specifically state “You will only be reimbursed up to the amount charged to your Account or the program limit.” Since $50 is the limit, just make sure you charge at least $50 on the CSR and then you can use the rest of with gift cards. However, if you charge $20 on the CSR, that’d be the most you’d be able to get back. Great article, good food for thought. I am planning to purchase a big screen TV in the near future and based on this article , I will think more carefully about how I pay for it. So far I haven’t had any problems with major purchases as they seem reliable enough to last long enough for me to want to change … but you never . An important consideration, particularly for large purchases. Have to try to keep this in mind from now on. Thanks! Did not realize my Citi card gave such good protection. I am going to have to start scanning my receipts as so many of them fade by the time I need to prove a purchase. Wow. Thank you. I hope I remember that there are 24 month warranty cards when I make my next electronics purchase, and don’t sacrifice that by just remembering the best rebate. Well this is something to think about. I’m going to be getting a laptop soon. I’ll have to look at my freedom, Freedom unlimited and Sapphire rules. If you were looking to boost miles and warranty, which would you go for? I’d personally use a Citi card. What are you thinking is best for you? I am leaning more towards the Freedom, if I can get thru with 5x points Chase pay or Sumsung Pay, otherwise the Freedom Unlimited. Now I’m thinking that an extended warranty might be best. Prices have come down on non apple laptops though. Sounds like Freedom Unlimited makes the most sense for you then. This is very useful information. Great feature on credit cards. Citi does standout in this area. Good card to put big purchases on. Has anyone ever used this feature on their card? I’d be interested to hear how easy/difficult it is to file. I’m in the habit of scanning my original receipts whenever I buy something with a warranty – I wonder if that would suffice here? Or if you need the actual original paper receipts? Scanned copy works. I’ve used this several times. It is a straightforward process where you submit everything online. I was interested in applying for a Citi DoubleCash card, for the extended warranty feature. Unfortunately, on the Citi site, I can’t find anything associated with the DoubleCash card, that confirms that they still offer the Extended Warranty option (for that card) and exactly what it covers and the requirements for using it. Calls to Citi left me frustrated, as three representatives didn’t even seem to know what I was talking about when I inquired about exactly which cards had the extended warranty feature, and where I could find resource material online that spelled the details out for specific cards. I told them that I wasn’t interested in applying for a card that I had to wait until after application, approval and receipt of the card to find out what the details of the benefits are. They do still have it by the way, 2-year extension of manufacturer’s warranty. It’s easy to find once you have the card at least, under Benefits->Extended Warranty. Table shows Barclaycard, but link only points to Arrival Plus. Is it for all or just Arrival Plus? You say AmEx is now matching Citi’s 2+ years, but the table still shows matching for warranties less than 2 years. Which is it? Not sure what you’re confused about. We link to an example from Barclaycard, the Arrival Plus, which is a likely card our readers will have. You should check your own card’s policy. For Amex/Citi, we call out that Amex will match Citi up to 2 years. Sorry for any confusion. In the case of Citi you say “The example we’ve presented in the table is the guide to benefits for the Citi Premier℠ Card, but the same policy applies across the full spectrum of Citi cards…” But it doesn’t say this anywhere for the other brands. If you include this the article will be more complete. It’s not inaccurate, it’s just incomplete. And in the text it says “From August 1, 2018, Amex is matching Citi’s 24 month cover on warranties up to 5 years, but with one small caveat; where Citi states no annual cap on claims, Amex will cap its new policy at $50K per year.” The table (and I what I confirmed on other sites) says AmEx is only matching the 24 month cover on warranties from 2-5 years. So that statement should include both caveats in order to be accurate. As is the statement conflicts with the table.